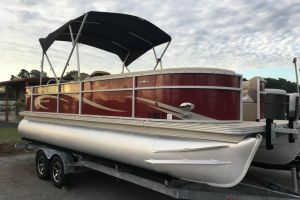 2018 CREST Crest II 230 SLC, The Crest II - Make a lasting impression on the water For over 55 years, Crest pontoons have brought tens of thousands of Crest owners a tremendous waterborne experience that is based on one driving principle PONTOON EXCELLENCE. 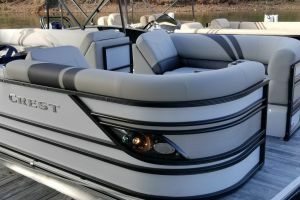 Every Crest pontoon contains the DNA that has defined and evolved the watercraft, the brand and the company for more than five decades. 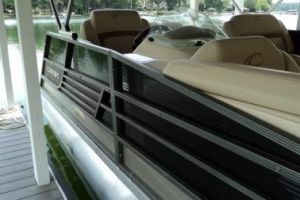 Crest utilizes proven methods and processes that bring a high quality pontoon boat to your dock. As technology changes in materials, processes and propulsion, Crest is able to react quickly with confidence. 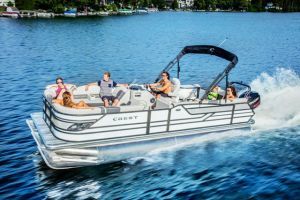 Over the years, Crest has manufactured respected commercial watercraft, houseboats, as well as the highly styled, structurally superior recreational models. Since 1957, the Crest II has been the best value on the water, while at the same time meeting every standard set forth by the six pillars of excellence. 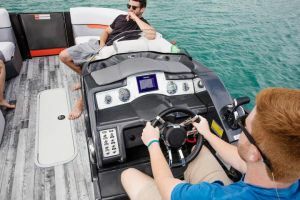 Grab your fishing gear and hit the water, take the whole family for a cruise, or find a favorite spot and turn up the volume on the audio system. However you enjoy spending the day, youll enjoy it even more on a Crest II. 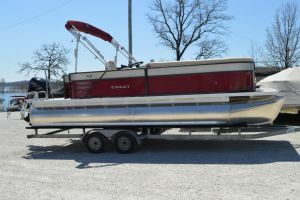 This boat comes with an EZ Loader trailer. 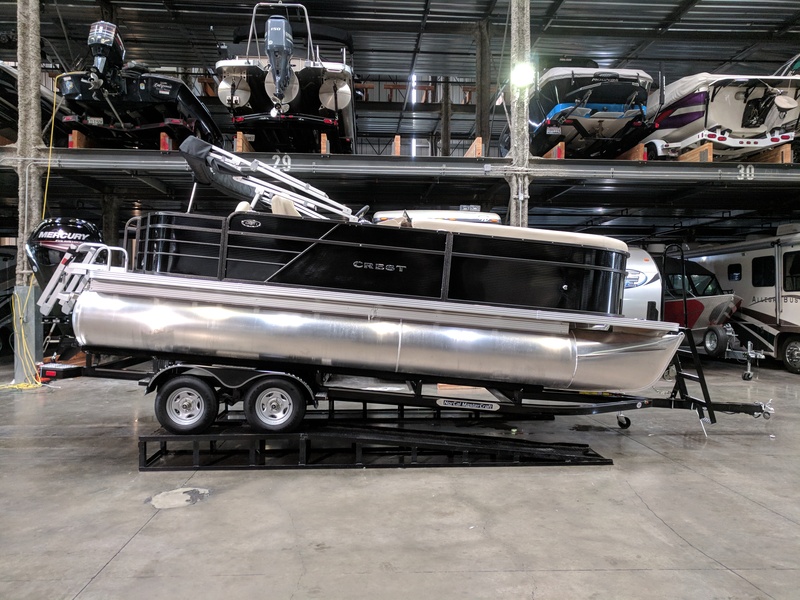 Come check out the 2018 Crest II 230 SLC today! !